Swarthmore College received a A+. Washington Monthly's ranking of 21 out of 224 of Affordable Elite Colleges - Overall Rank was a major contributor to this grade. Quaker in heritage, suburban in setting, and serious about ideas, Swarthmore is a great liberal arts college for those truly interested in the life of the mind—engineers included. A 425-acre independently run arboretum frames the lovely campus, and white Adirondack chairs—including a humorously oversized one—grace a lawn that slopes down to the train station for the 30-minute ride into Philadelphia. "I Have A Dream" Foundation benefactor Eugene Lang graduated years ago; his mission of making a first-class education available to those smart and lucky enough to seek one endures. What is a typical Swarthmore College student like? Describe the type of person that should attend Swarthmore College. What are the top 3 reasons someone should attend Swarthmore College? What was a typical Swarthmore College student like in high school? Describe the type of person that should attend Swarthmore College. The college's honors program gives hardy souls a taste of graduate school, where many Swatties invariably end up. This liberal arts college, which is now non-sectarian and has always been coeducational. Admissions officers comb applications carefully for in tellectually curious, highly motivated, and creative-minded candidates. Swarthmore College trains very bright, ambitious students to think differently and question their assumptions. Swarthmore, one of the nation's finest institutions of higher learning, is a college like no other. Private, yet open to all regardless of financial need. Global in outlook, the College draws students from around the world and all 50 states. Small, yet with the financial strength to offer students and faculty the resources needed to push their own and the world's understanding of disciplines from Arabic to plasma physics, from microbiology to dance, from engineering to art history. Swarthmore celebrates the life of the mind. Since its founding in 1864, Swarthmore has given students the knowledge, insight, skills, and experience to become leaders for the common good. And they do. Swarthmoreans are CEO patent-holders who bring technology to underserved markets, investment bankers looking for alternative forms of energy, lawyers who become college presidents, doctors who serve in Congress, Nobel Prize winners, educators who establish schools in underserved parts of the world, and artists who use their talents to inspire and empower others. So much of what Swarthmore stands for, from its commitment to curricular breadth and rigor to its demonstrated interest in facilitating discovery and fostering a sense of civic responsibility among exceptional young people, lies in the quality and passion of its faculty. Professors at Swarthmore are leading scholars and researchers in their fields, yet remain deeply committed to serving their students as outstanding teachers and mentors. A student/faculty ratio of 8:1 ensures that students have close, meaningful engagement with their professors, preparing them to translate the skills and understanding gained at Swarthmore into the mark they want to make on the world. 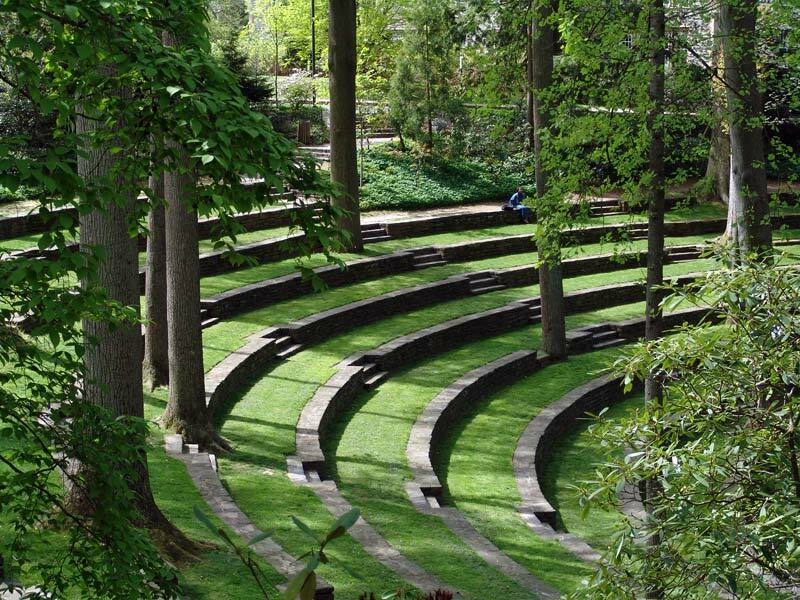 Located 11 miles southwest of Philadelphia, Swarthmore's idyllic, 425-acre campus is an arboretum, complete with rolling lawns, creek, wooded hills, and hiking trails. From its state-of-the-art L.E.E.D. certified science center to its new residence halls with environmentally responsible design, Swarthmore's buildings and architecture stand as national models of curricular and co-curricular undergraduate facilities. Swarthmore's endowment is the 14th-largest per student among U.S. colleges and universities. This enables the College to admit U.S. citizens and permanent residents without regard to their ability to pay for a Swarthmore education and to fully meet the demonstrated financial need of all admitted students with loan free financial aid awards. Founded by the Religious Society of Friends (Quakers) as one of the nation's first co-educational colleges, Swarthmore today is non-sectarian, but still reflects many Quaker traditions and values. Foremost among them is a commitment to the common good and to the preparation of future leaders who will influence favorably a changing and complex world. What are the top 3 things that students do for fun at Swarthmore College? 13% of students received Pell Grants, which are provided by the U.S. government to students from middle and lower income families. It gives you an idea of a school’s socio-economic diversity. 93% of students live on-campus. What percent of the student body is premed? Any instructional program in bilingual, multilingual, and multicultural Education not listed above. A program that focuses on the scientific study of structural phenomena combining the disciplines of physical chemistry and atomic/molecular physics. Includes instruction in heterogeneous structures, alignment and surface phenomena, quantum theory, mathematical physics, statistical and classical mechanics, chemical kinetics, and laser physics. 98% of students graduated in the top quarter of their class. 92% of students graduated in the top tenth of their class. The average student pays $22,514 for tuition, fees, and other expenses, after grants and scholarships. Total stated tuition is $44,368, in-state and on-campus, before financial aid. Learn more about financial aid at http://www.swarthmore.edu/admissions-and-aid/financial-aid-and-cost-information.xml. Estimate the net price for you at http://www.swarthmore.edu/admissions-and-aid/financial-aid-and-cost-information/prospective-students/net-price-calculator.xml. 88% of students graduated on time. 96% of full time students continued studying at this school after freshman year. The typical (median) early career salary of Swarthmore College graduates is $51,000, according to Payscale. Swarthmore College participates in the NCAA Division III for college athletics. Want more info about Swarthmore College? Get free advice from education experts and Noodle community members.